Named after the thin white line resembling a "w" which is visible on the underside of the hindwing. 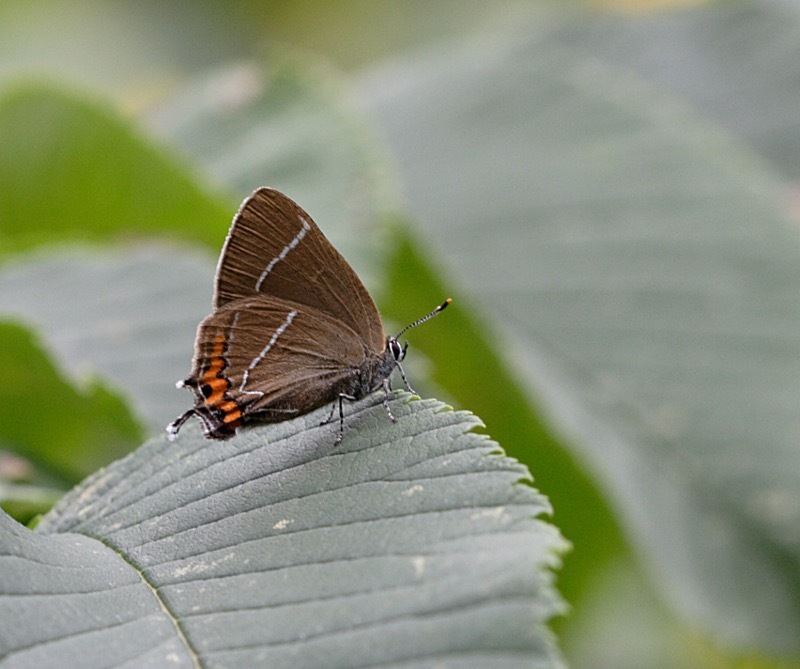 This is the smallest hairstreak and can be the most elusive. The butterfly always feeds and rests with its wings closed. The bottom edges of the hindwings are orange, lined with black that extends to the tail. Woodland edges, rides and roadside verges where the food-plant is present.